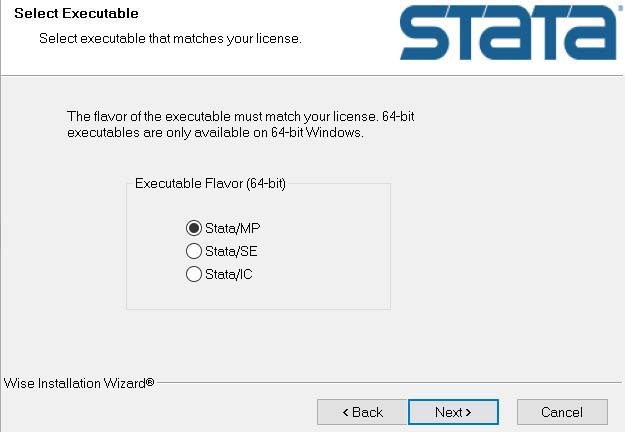 The Faculty now has a Stata site licence which allows all academic and research staff of the Faculty, and all students, to install Stata on their personal and unversity devices. The licence will need to be renewed annually. Run the Installer, click Next and accept the User Agreement and click Next again. Enter your Full Name and for Organization put Faculty of Economics and click Next. Click Next to all the screens until the installation has finished. You may be asked to login with your Raven details. Open the PDF from the link and open Stata. Stata will ask you for the information in the PDF, fill in the details and click okay. Stata will now be activated.